Frankfurt/Main -- In a scenario for the year 2050 described by the Food and Agriculture Organization of the United Nations (FAO), a world population of around nine billion (i.e. one-third more than today) will need to be supplied with food, raw materials and energy. To keep pace, food production must increase by about 70 percent – a massive challenge that is aggravated by the impacts of climate change, water shortage and loss of farmland and that cannot be met without the use of hi-tech solutions in the entire agricultural sector. This international platform for mobile applications takes as its main theme ‘Future Farming’, which covers future-proof solutions that are geared to increase farming efficiency. The focus is on efficiency on the one hand – the relationship between farm inputs and outcomes (EN ISO 9000) – and on effectiveness on the other – the relationship between the status quo and the defined target. Coming under particular scrutiny will be engines, hydraulics, axles, drive technology, cabins, electronics and software systems for agricultural machinery. Systems & Components will be held from 10 to 14 November 2015 (preview days 8 and 9 November) under the aegis of Agritechnica, the world’s largest trade fair for agricultural machinery and equipment in Hanover. Trade visitors are guided through the platform via four so-called ‘pathways’ which have been specially prepared in terms of content and visual clarity. In addition to efficiency as a trend in technology, other issues under consideration include reliability, safety/ergonomics and resource/environment protection. Companies such as Carraro, Claas, Comer, Fluidesign, Fluitronics, GKN, Kramp, Liebherr, Sauer Bibus and Thermamax will be showcasing their solutions; they are listed in the Systems & Components visitors guide together with details about their exhibits and corporate profile on the theme of efficiency. The Systems & Components platform provides exhibitors and visitors with a symbiosis of scientific research, existing systems, modules and components presented by innovative suppliers as well as high-end farm equipment. At the same time, the platform offers a great opportunity to share expert opinion, explore new cooperations and business contacts so that all industries are able to benefit from synergies that can be forged between the academic world, industrial R&D and manufacturing. A compact and fully integral engine design is presented by ZF Friedrichshafen AG. The design combines an electric and water-cooled drive unit with an internal air flow cooling system, an efficient three phase asychronous motor with a gear speed ratio implemented downstream improves the constantly controlled traction and hence road safety and field protection. Splitting the drive power between tractor, trailer or farm implement offers the advantage of making work possible even in difficult conditions. Finland's Saimaa University of Applied Sciences presents a new development: a hybrid drive system for mobile high-capacity machines which promises fuel efficiencies of up to 50% depending on the work cycle. This development compensates for the variability of multiple, intense bursts of demand for electric energy by using a battery or a super condenser as well as by recovering the kinetic energy that is generated during braking. The use of GPS positioning systems in the field is the first step on the road to Precision Farming. 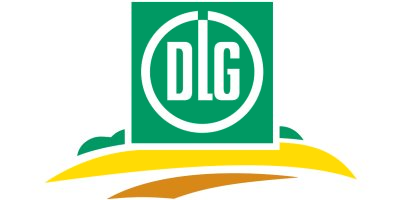 The German Fachhochschule Kiel and its agricultural department headed by professor Yves Reckleben trialled autoguidance systems using highly accurate correction signals to explore the potential for cost reductions and the use of such high-accuracy signals in various farming applications. RTK network correction signals sent from a base station near the field or an RTK cell network are now available to provide highly accurate data down to 2cm for parallel tracking (track-to-track and absolute). These systems no longer require a high investment and give access to new cultivation schemes, such as controlled traffic system or strip tillage. A joint collaboration between Kramp, Samp and Monroc, the on-demand drive system, provides extra torque in difficult conditions. Tests showed that it led to a 15 percent drop in fuel consumption on a 350hp tractor (powered by Sampo Blackbruin wheel motors) towing a 30t trailer at a constant speed on flat terrain. No comments were found for Efficiency as competitive edge. Be the first to comment!